This summer at the Games For Change Festival, the Game Jam Guide e-book was released, sharing advice from a range of experts on how to lead game jams. 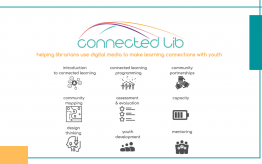 One of those experts is Matthew Farber, an assistant professor of technology, innovation and pedagogy at the University of Northern Colorado (and whom will be presenting on the topic at the upcoming Digital Media and Learning Conference). I reached out to Matthew to learn more about how he uses games for learning and how the Guide can help others run their own game jams. Matthew, it interests me that, in the Guide, you are making an argument that game jams can be used to design games about real-world issues that can teach students things about empathy, systems thinking and design thinking. But, before we get into game jams, please share an example of how you’ve used games to teach some of your content areas? I first got interested in game jams when I saw that the lessons seemed very adaptable to a project-based learning classroom, where I could have my students design some sort of system that others in the class can play and learn from, instead of just sitting there passively hearing about a PowerPoint presentation. I use a game like a text. I may have them play the board game Pandemic to learn about global interconnectedness and diseases from Europe to the new world. And, then, I have the students journal, so they write from their point of view about those who are in the game. Then, I have students make sequels to games. It’s like fan fiction. So, after an educational game like Mission US from PBS I would then put students on a design tool like inklewriter (a free design tool from the folks at Inkle) or Twine, and have them create what would happen next, to design sequels, or games from a different perspective. For example, we played several immigration-themed games in my classroom, from Immigration Nation (from iCivics) to The Migrant Trail. And, then, students made games themed on those serious topics of immigration. For example, one student made an escape room game, using a box from Breakout EDU, and she created a game where you have to solve a series of puzzles, and unlock different locks, and at the very end there is the oath to become a citizen. So, they’re embodying game mechanics, and they’re embodying content in this playful way, but they’re about serious topics as well. So, what exactly IS a game jam? Well, a game jam is like a hackathon, although, not everybody knows what a hackathon is of course. Very true. So, what exactly IS a hackathon? Basically, it’s when you get people together in one location, and you give them a theme. They then create content, based on that theme, together. It’s not always competitive. For example, there was a hackathon in Rockaway, in New York, after Hurricane Sandy, for creating apps that could help in the recovery. 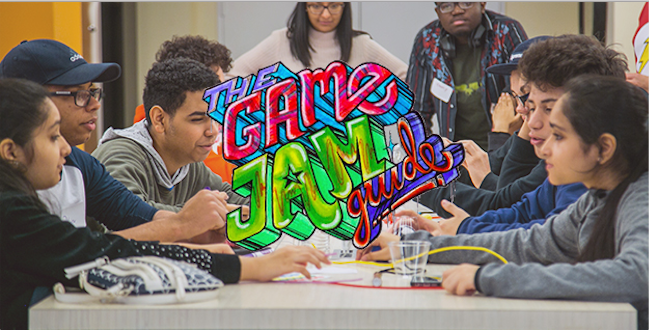 Under the auspices of Games For Change, we brought game jams to youth around New York City. I wrote the Guide with Kevin Miklasz from BrainPOP, Alex Fleming from Mouse, and Sara Cornish from Games for Change. The partners were Global Kids, Mouse, Institute of Play, Museum of the Moving Image, Brooklyn College Community Partnership, and CoderDojo NYC. These moveable jams reached over 1,000 students in four boroughs. Ah, now what’s a MOVEABLE game jam? It’s an all-day, out-of-school, informal setting event. There’s pizza involved. And, it runs like this: in the morning kids show up. We offer an overview of what games are, then we have an expert speak. The expert depends on the theme. 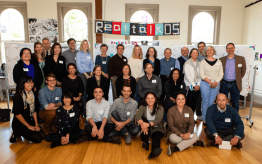 We had an expert from NOAA and NASA for the climate game jam, from Current by GE for the topic of future communities, and experts from the National Endowment for the Humanities and two different museums. And, they teach hands-on lessons to students for a couple of hours. Then, there is lunch and, then, we have a breakout station. So, there are four stations and students pick two and they go to these stations for one hour each. There, they design games based on the morning’s lessons. At the end of the day, they share out what they’ve made and created. How did the Jams turn into the Guide? And, that’s what we hopefully have created here. For someone who is intrigued by this idea and just picking up the Guide for the first time, is there any advice you want to give them before they open it up? My advice is that game design is approachable, the guide is approachable. You don’t need an advanced computer science degree for this. You can use paper and any materials you have and recreate some of the games in this guide and, by doing so, the content follows and the learning follows. We encourage people to download it, to share it, to use it, and to reach out to us and share their successes and challenges. We’re all part of this community and we’re all there for each other.